The recently renovated kitchen contains new granite countertops, modern cabinetry, new appliances and has every utensil needed for your stay, including coffee maker and microwave. The comfortable living area has a flat screened TV and leads out to the side balcony, where guests will enjoy beach and nature views. Here you will find the perfect spot to enjoy a good book, or watch the spectacular sunsets Florida offers. The cheerful, nautical themed master bedroom has one king sized bed, flat screened TV, and also provides access to the balcony. The second bedroom has two twin beds, TV and provides plenty of space for guests. A sleeper sofa in the living room allows accommodations up to five people. Linens, extra towels and pillows are stocked for your visit, and washer and dryer are here for your convenience. The location of this vacation property is unsurpassed and especially popular for families. Steps away from the beaches, guests can also enjoy the heated swimming pool and BBQ facilities. John's Pass Village, a popular destination for year round residents and tourists alike, is just across the street. The Village has over one hundred unique shops, a variety of restaurants, the local fishing fleet, dolphin watching and shelling tours, boat rentals, parasailing and jet skiing. Best of all as a SunHost customer you can walk to this great entertainment destination. Anchor tenants include Bubba Gumps, Hooters and Hubbards Marina and also world famous Bamboo Beer Garden. Perfect location for the family. Amazing sunset view! We loved the John Pass! But, the unit is perfectly furnish! What a wonderful stay once again with sunhost! Everything we want in a condo is right here in 213 Norte. One can tell the owner takes great pride in this place as there are many extra touches. This unit fits perfectly with our five week stay as it has lots of cupboard space and is exactly as pictured. The balcony is great for us and suits perfectly after a long beach day. 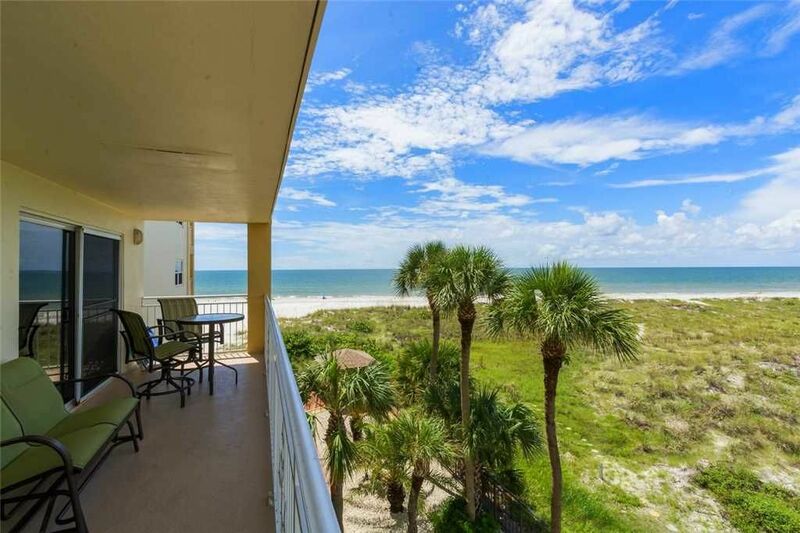 The view is perfect and we have just enough beach to watch all the activity on the gulf. The condo is quiet and away from the bustle of the pass but still affords easy accessibility if one chooses. We wasted no time and took no chances, booking early in our stay for next year. Again, after 30 years with sunhost and Madeira beach, why go anywhere else? Washer was broken before we arrived and never repaired upon departure. Our family enjoyed the resort. The condo was just as pictured. Close to the beach, reserved parking and walking distance to Johns Pass for dinner and dolphin viewing! Staff was very helpful! Well kept grounds and accommodations were perfect. Definitely stay again! Wonderful property, just as pictured! Well kept grounds, great accommodating staff and awesome Gulf views. Walking distance to Johns Pass for dolphin spotting, fine food and shopping.